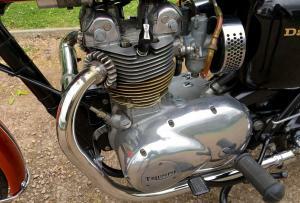 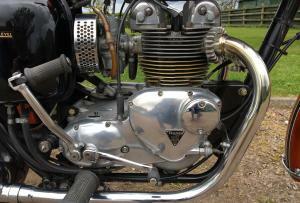 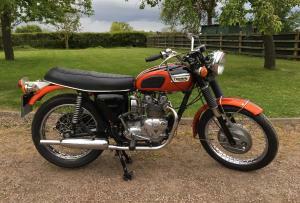 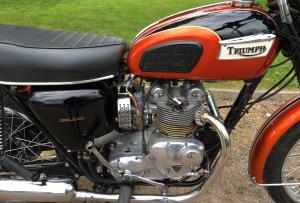 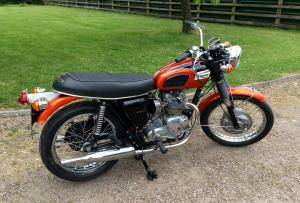 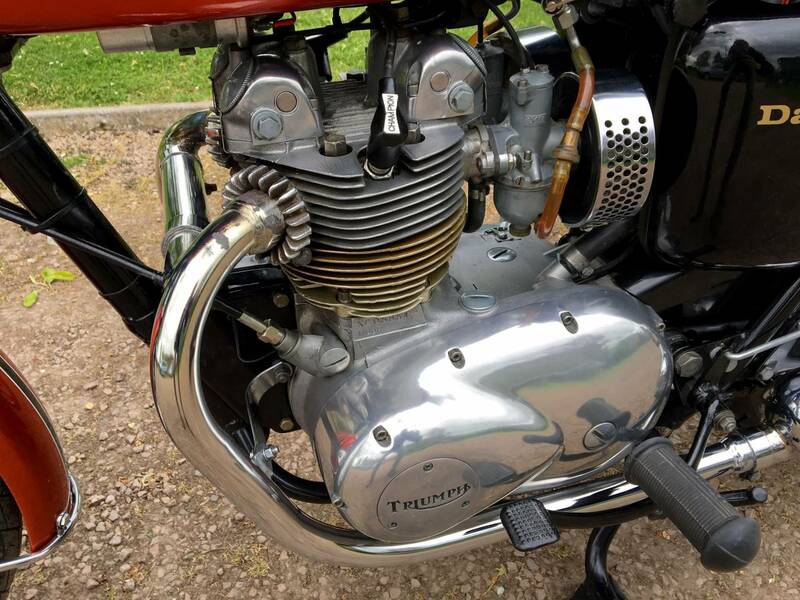 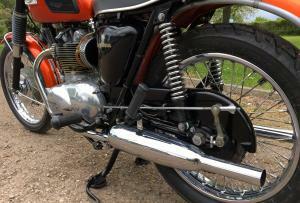 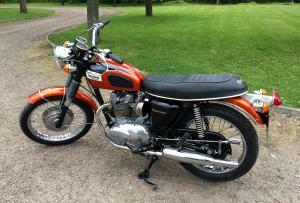 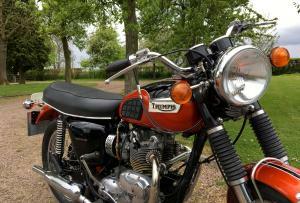 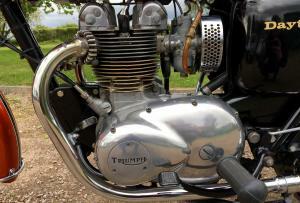 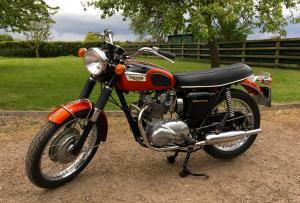 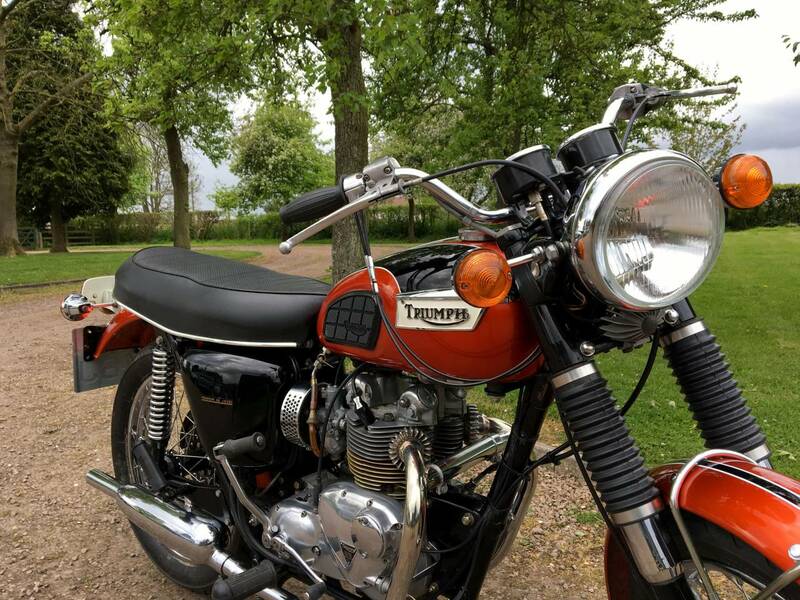 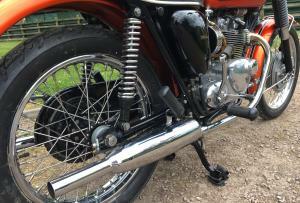 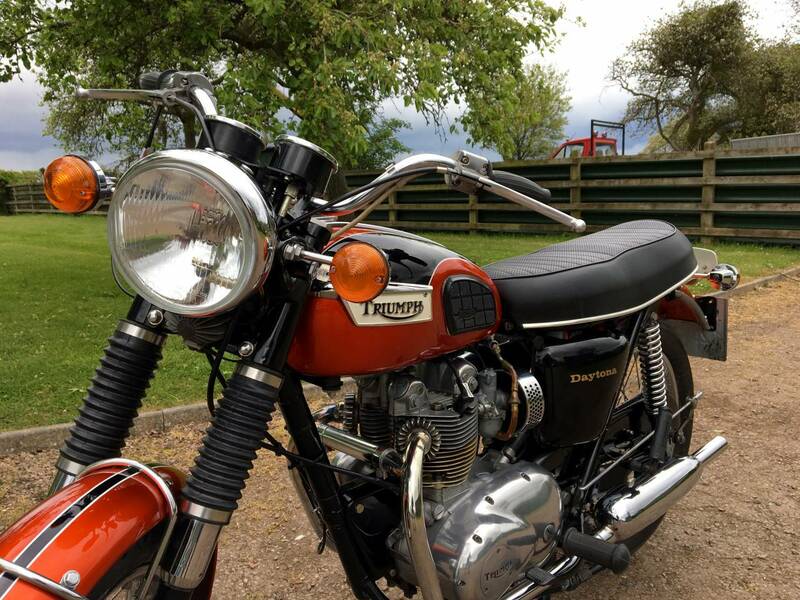 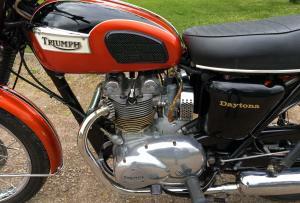 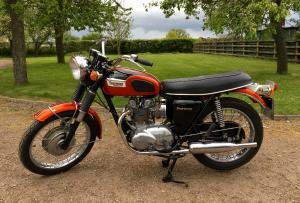 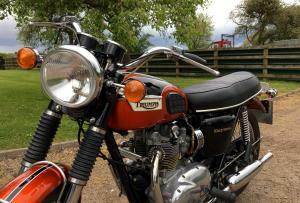 Triumph Daytona 1971 500cc . 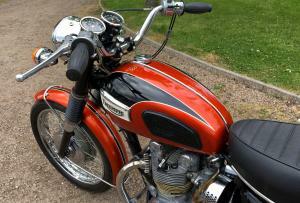 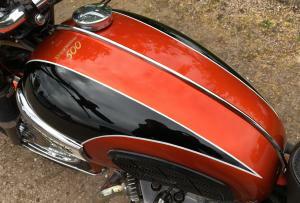 In Fantastic , Restored Condition And Looking Spectacular , In Its Correct Olympic Flame Colour Scheme . 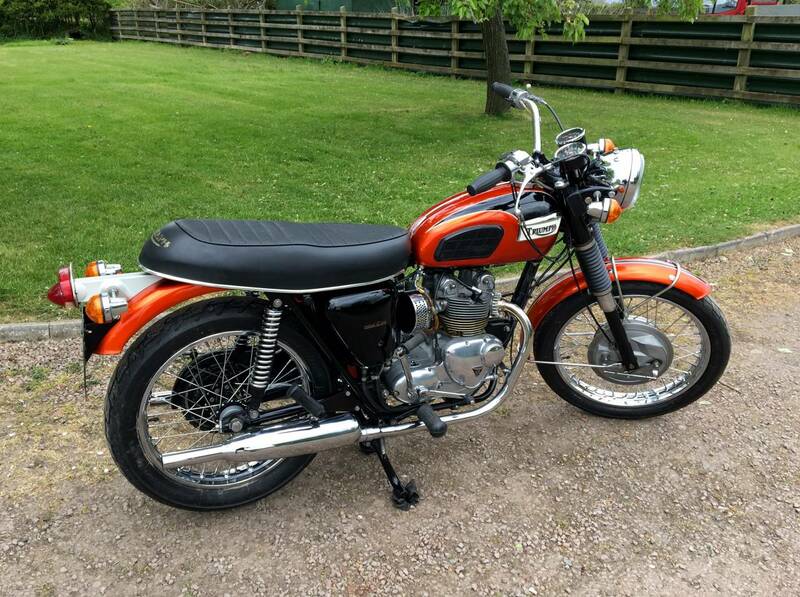 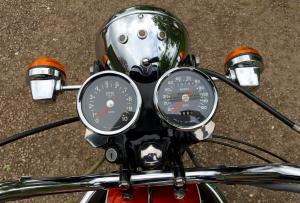 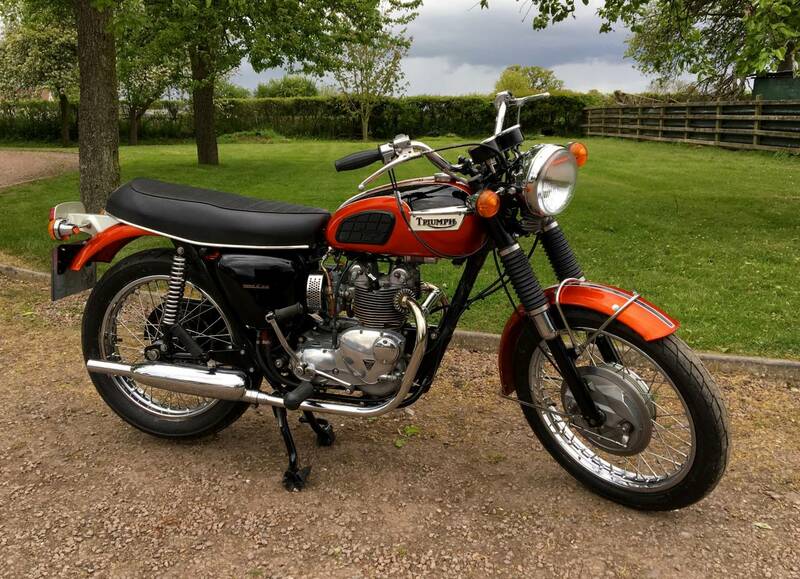 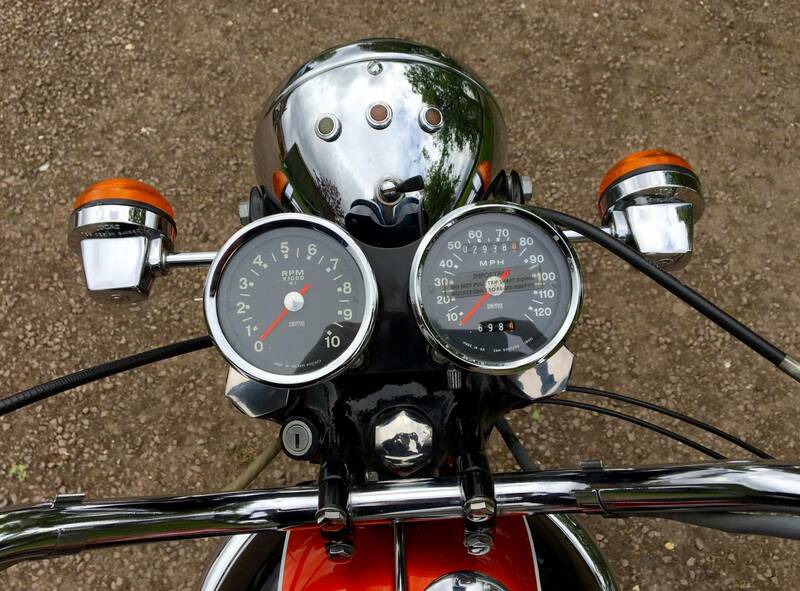 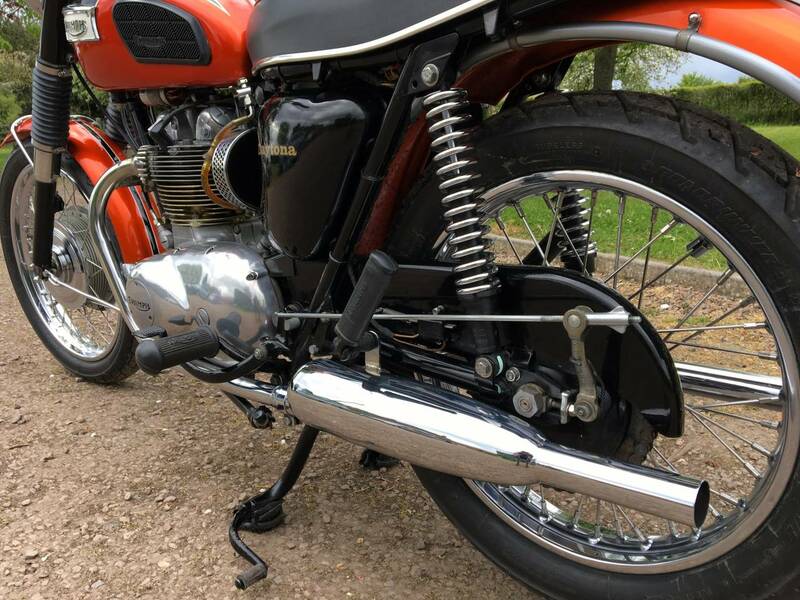 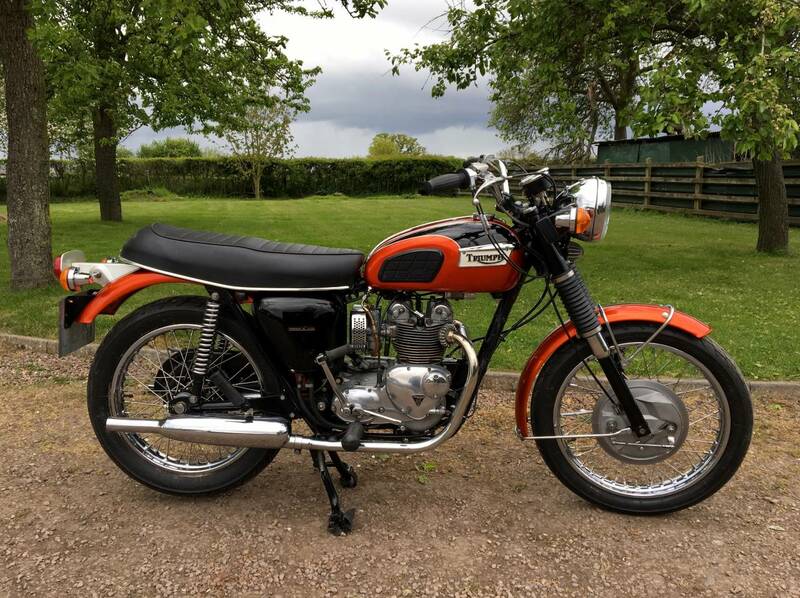 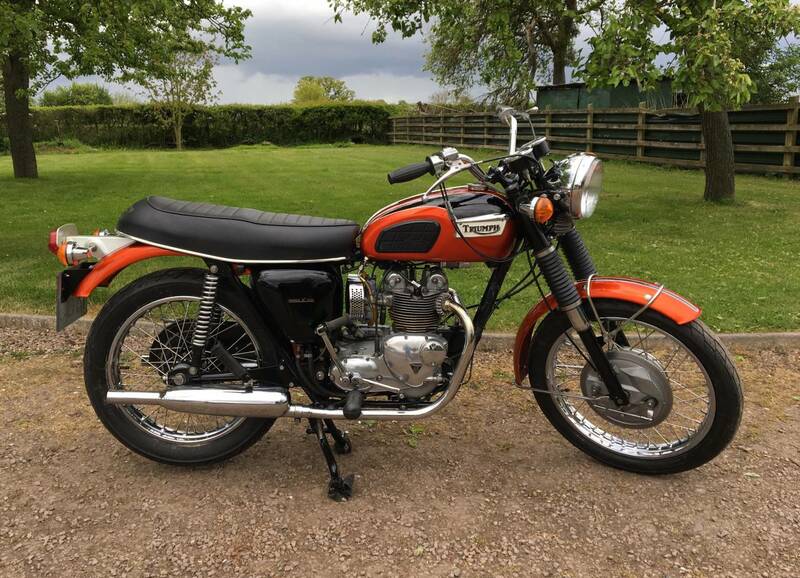 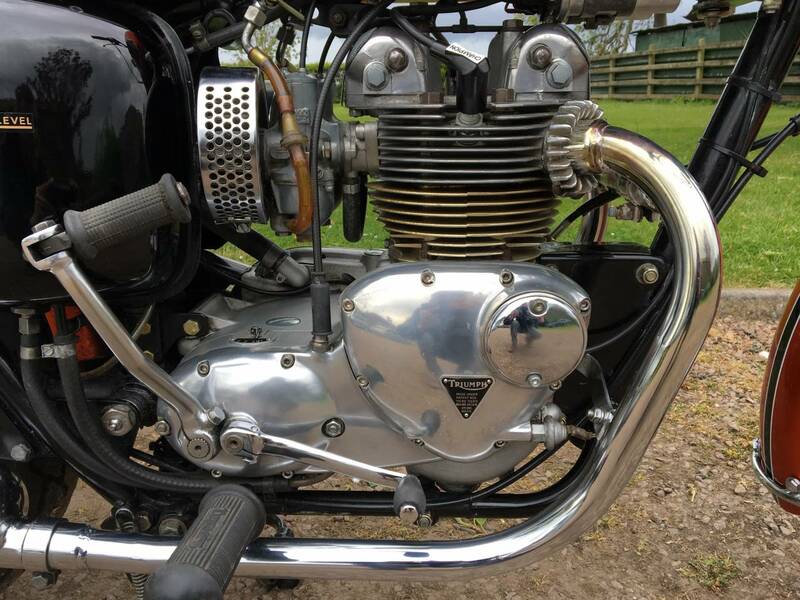 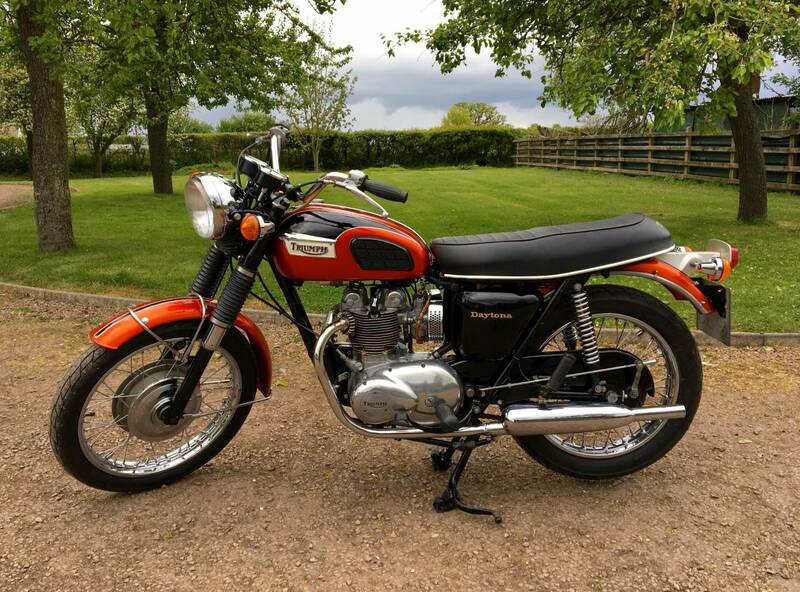 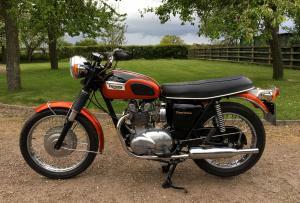 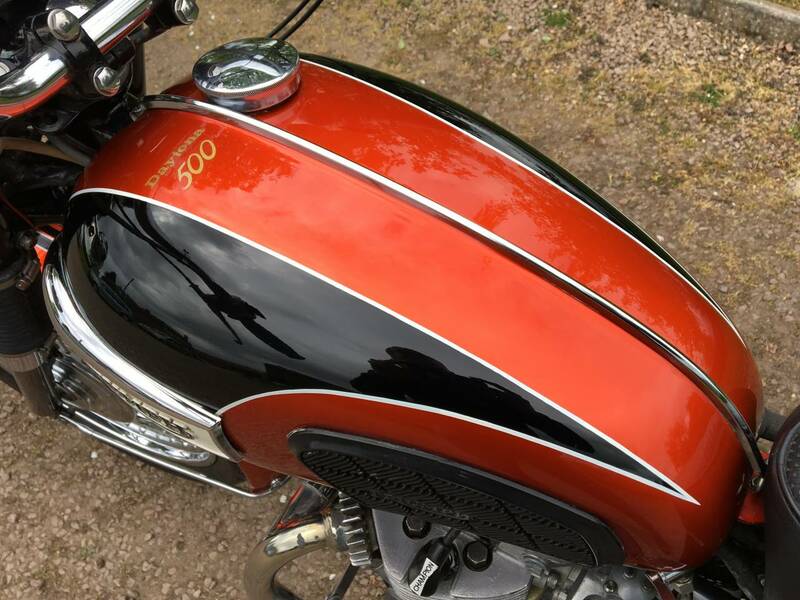 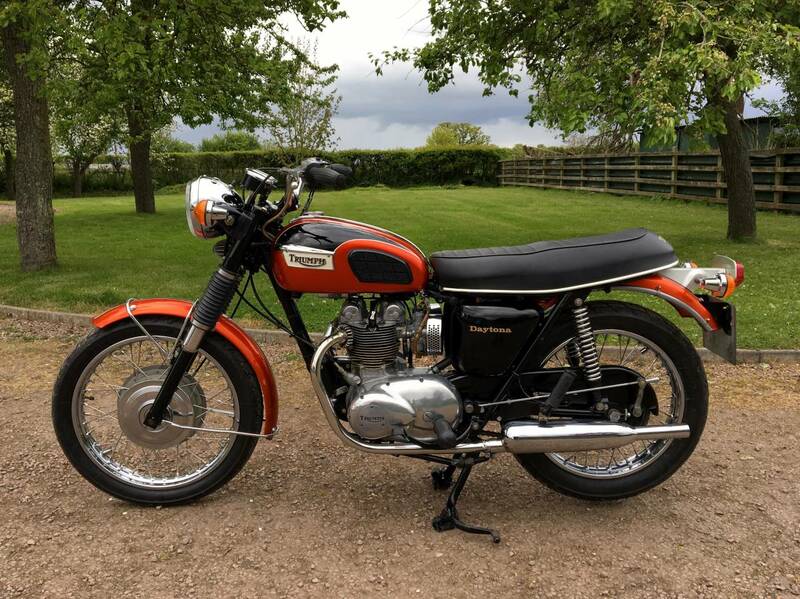 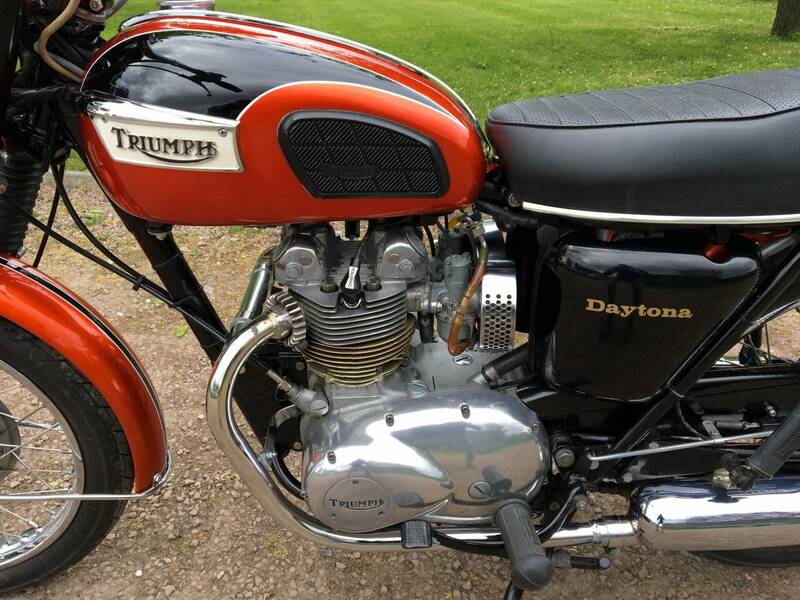 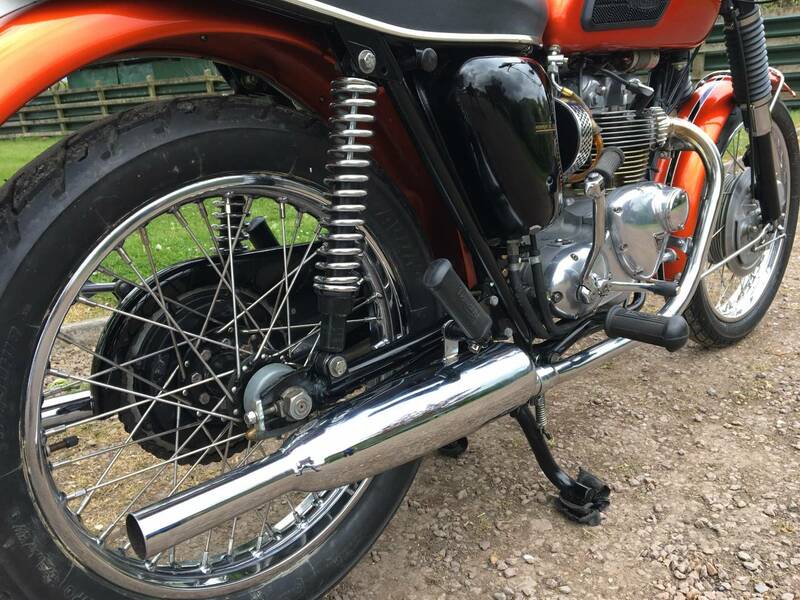 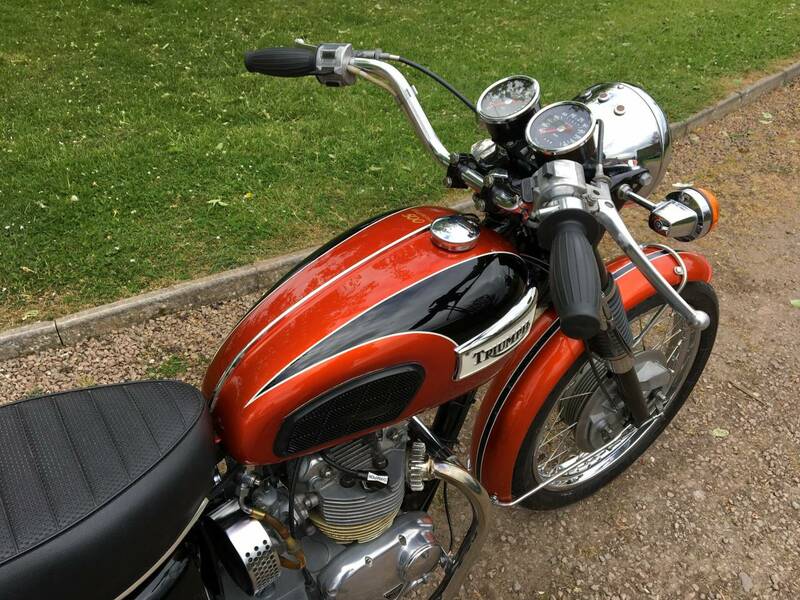 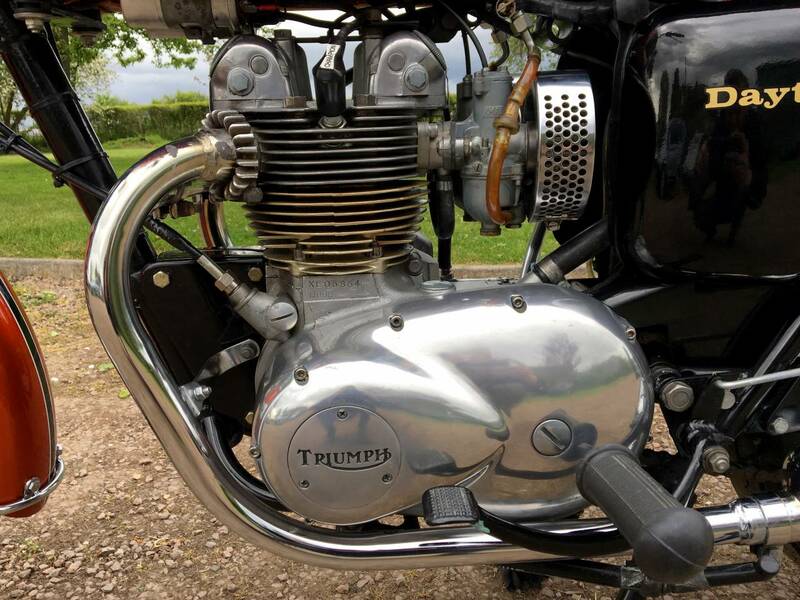 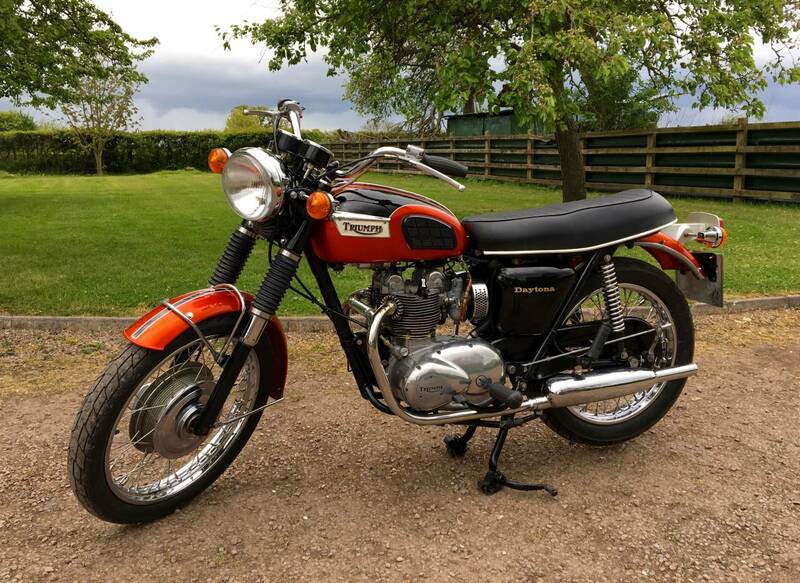 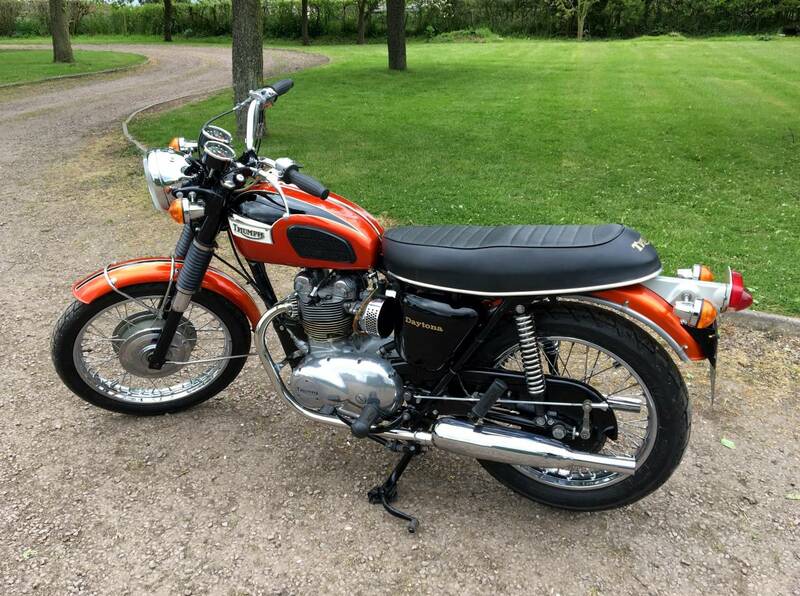 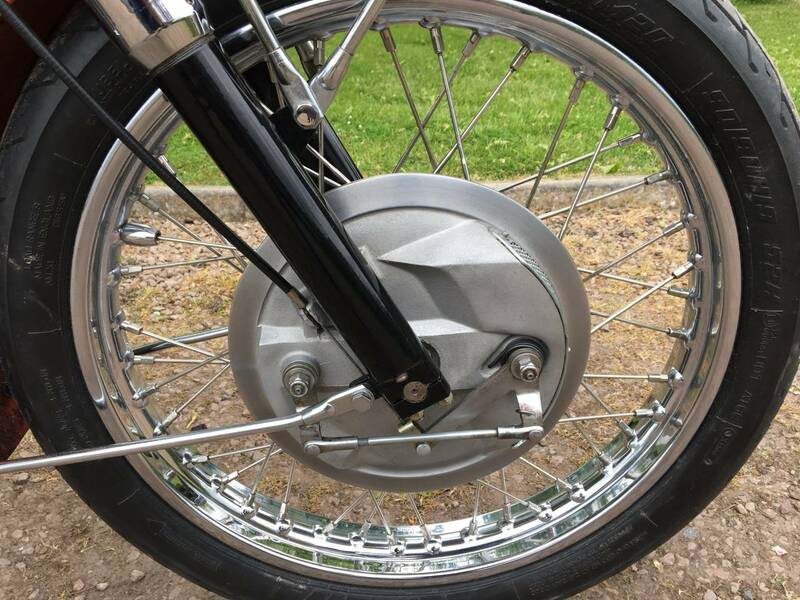 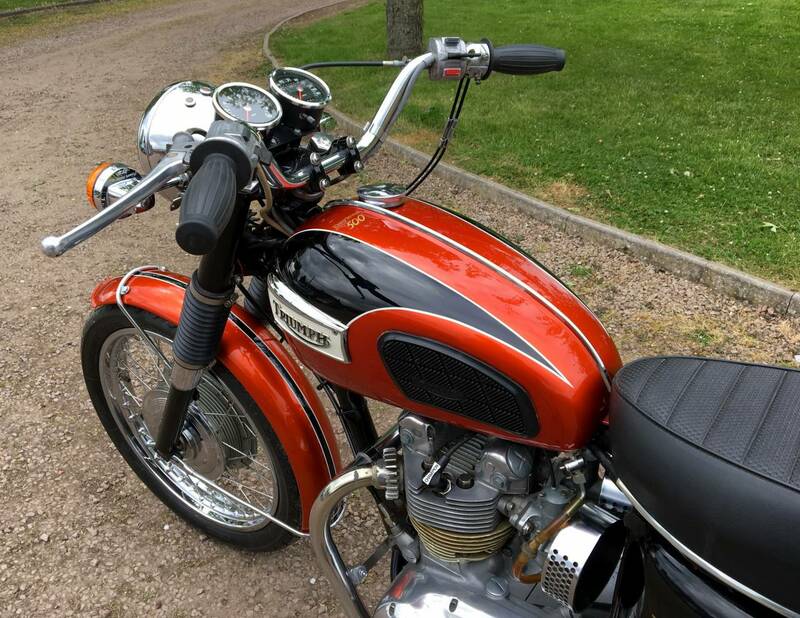 Comes With Matching Numbers , Twin Carbs , TLS Front Brake , Indicators And All To Original Spec ' With 2938 Miles Covered Since Restoration . 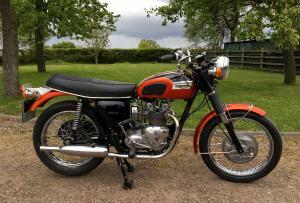 Starts First Kick , Ticks Over Very Well , With Correctly Balanced Carbs And Has A Very Sweet Running Engine . 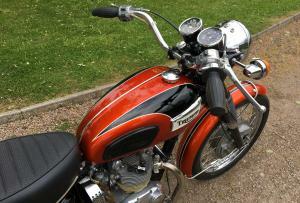 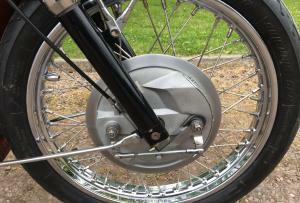 The Tank Has Been Ethenol Proofed And It Comes With A New Battery , Fresh Mot And Is Tax Exempt . 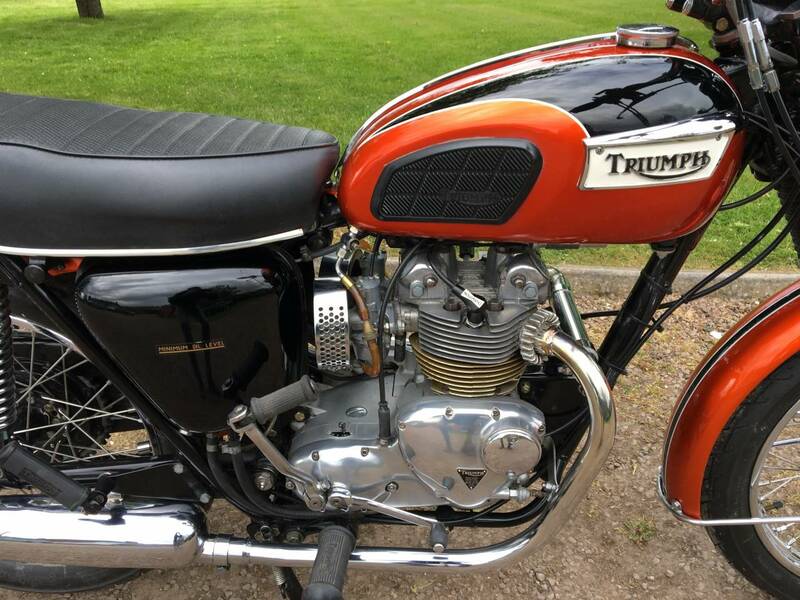 Must Be The Best Available And A Great Investment .